Do you have a wire hoarder as a significant other as well? After I got married, I moved into my husband’s place. As I started to unpack my crafts, I found bins and bins of wires. Wires galore! TV cables, electronic wires, headphones, chargers, lions, tigers, and bears! 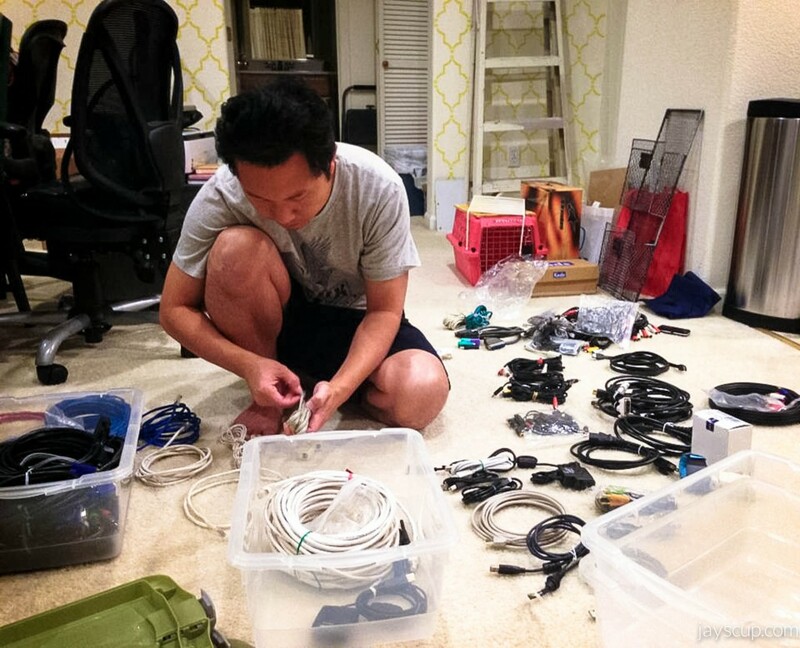 I knew I married a techie; I didn’t know I married a wire wholesaler. If you have a significant other like mine, then I have the perfect Valentine’s gift idea for you. It’s an easy weekend project. If you’re the wire hoarder, then treat yourself to this organizer. 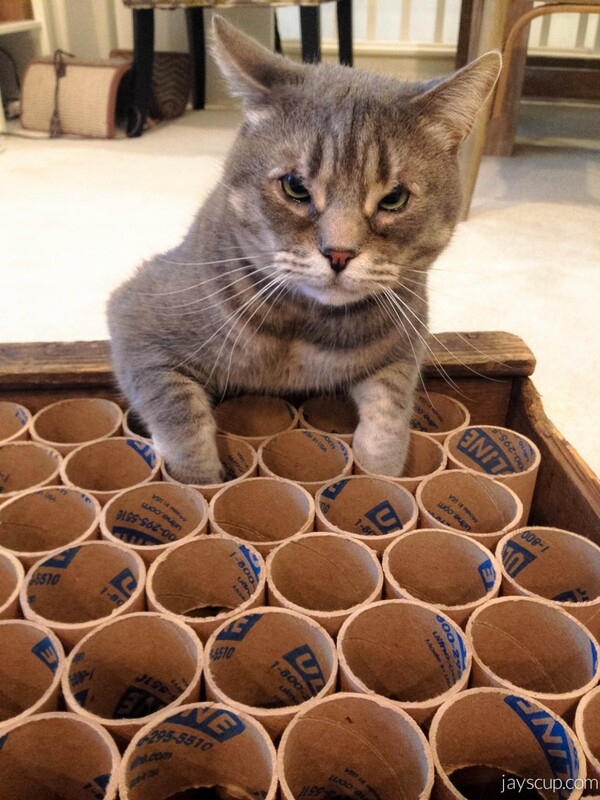 Second step, glue the tubes together. 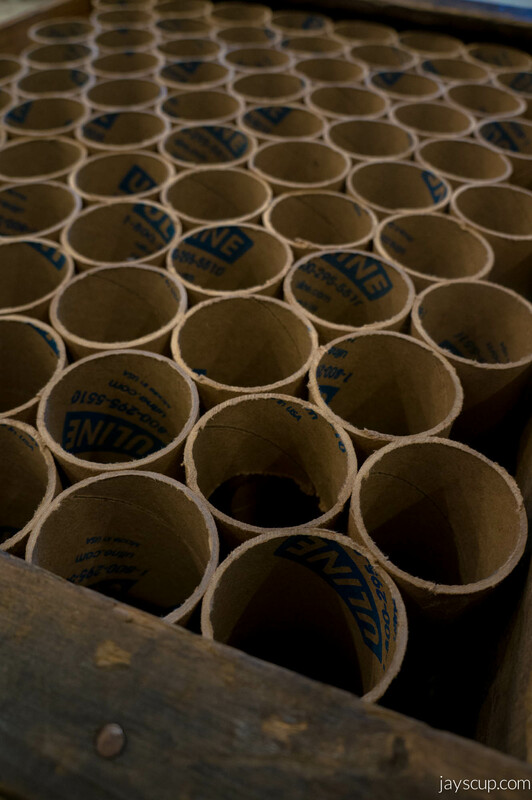 I glued the tubes inside the crate as I worked so that I know exactly how many rows I can make. My crate was able to hold 11 rows, 7 in a row. 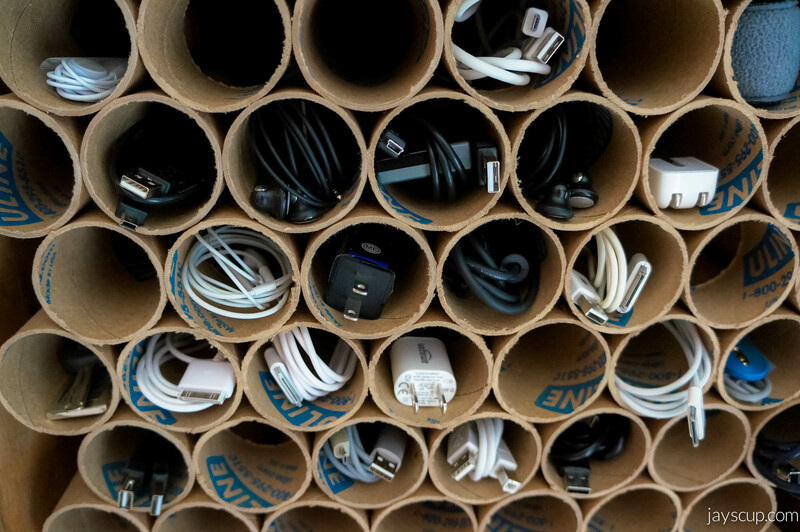 Once the glue is dry, start organizing your small cables, chargers, headphones, etc. 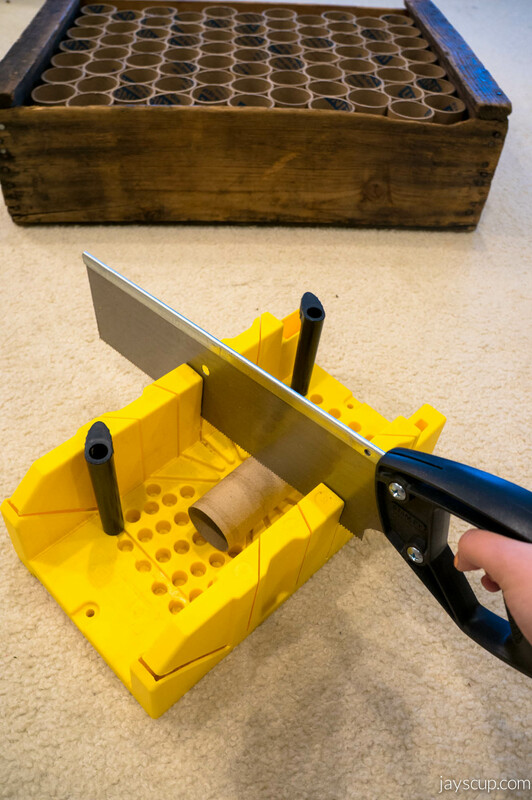 I actually bought kraft tubes in 30″ length and we sawed each of the tubes into 6″ inch lengths. This is a lot of work! 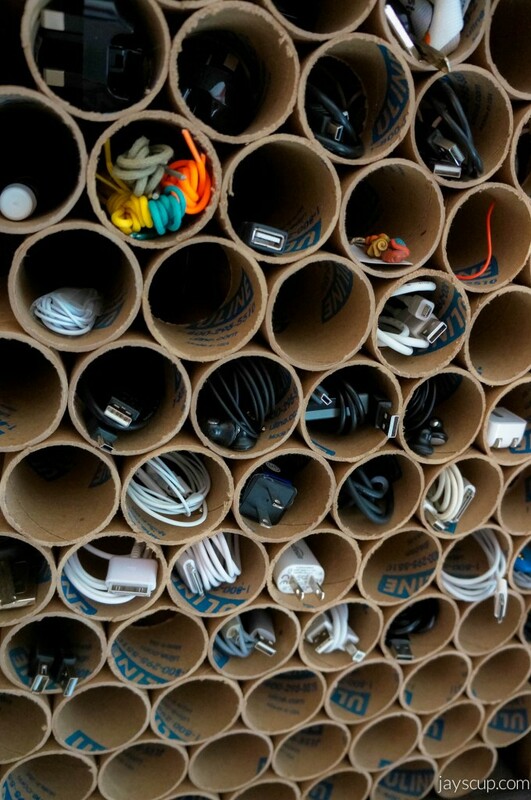 Next time around, I am simply going to purchase the 6″ tubes. Isn’t this a perfect gift for a crazed wire collector? 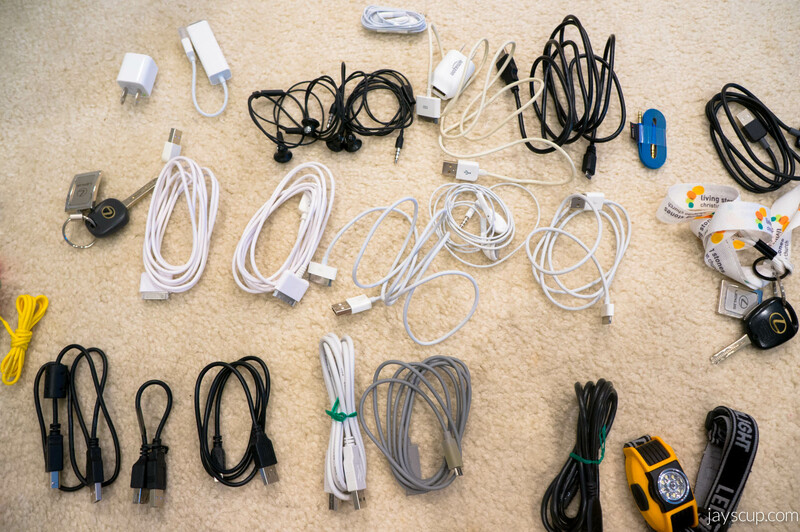 How do you organize your cables and chargers? 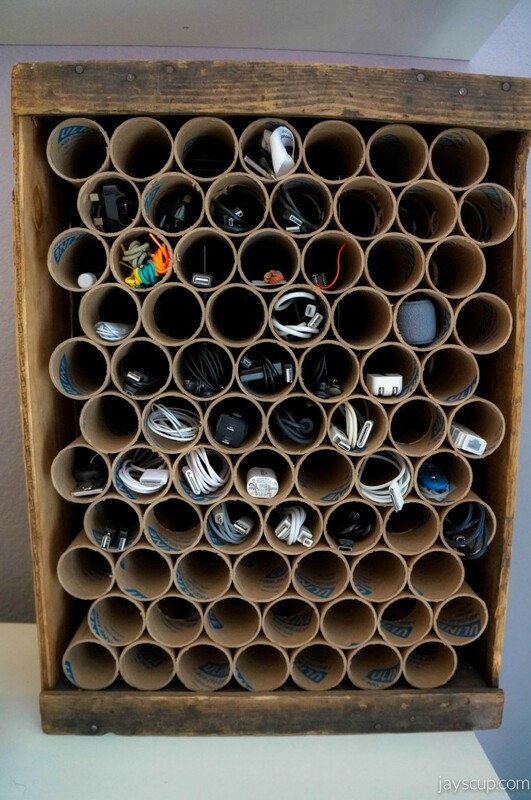 What are some other ways you’ve seen people organize? What are you getting for your loved one for Valentine’s Day? 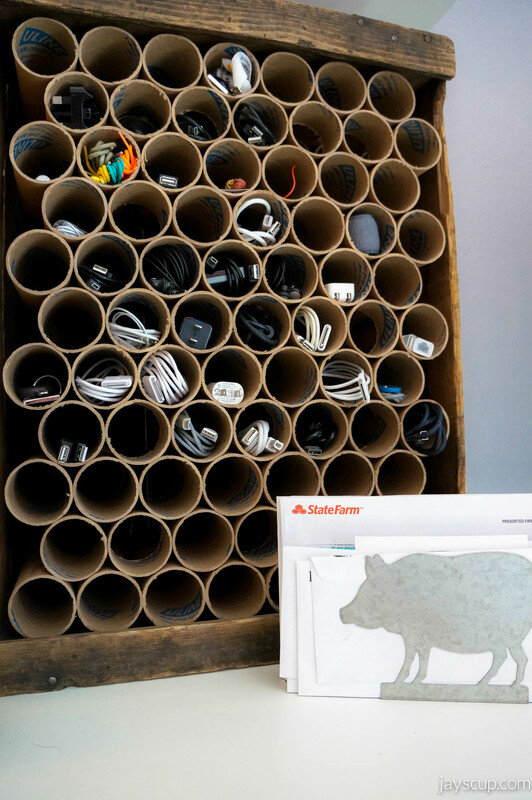 This entry was posted in DIY and tagged crate, diy, hoarder, hot glue, instructions, kraft tubes, poster tubes, project, wire holder. Bookmark the permalink. Yeah! Super helpful when we were sawing!